A forensic probe is underway to examine the work of some contractors working on Eskom’s mega power stations Kusile and Medupi, Public Enterprises Minister Pravin Gordhan has said, while bemoaning the "sub-standard" job undertaken by some of the contractors. "Kusile and Medupi's three units should be giving us 780MW, but they are not – those are serious issues," said Gordhan, as he briefed media on the state of Eskom’s power generation amid current power interruptions. 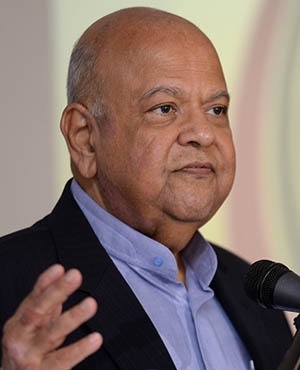 Gordhan said some contractors' work at the two power stations was "falling short of design and quality" – including services provided by local and international firms. "Somebody is making money out of the doubling of the cost of Medupi," he said. In 2007, the initial costing for six units came in at R69.1bn. By 2013, it had risen to an estimated R105bn. In 2016, it rose to R135bn. The most recent estimate is R145bn. All six units of Eskom's Medupi power station were forecast to be completed in the first half of 2019. "We have to find out who are the beneficiaries of the doubling of the cost," said Gordhan. Eskom has attributed the current load shedding affecting the country to its ageing infrastructure and maintenance. Gordhan told journalists that some of the repairs to the infrastructure were not being done adequately, also pointing to possible acts of sabotage, as seen during the August labour strike. In an attempt to keep the lights on, Eskom has instructed its managers to cancel leave during the holiday period to provide support. Gordhan, who was supported by some members of the Eskom board, said: "We are here because we have a crisis," adding that it must be remembered the state-owned entity was at "the heart of state capture".